Mustafa Kemal Ataturk was born in Salonika in 1881. His father was Ali Riza Efendi and his mother was Zubeyde Hanim. First, he was registered for Salonika Mulkiye Rusdiyesi (Secondary School for The Civil Service Officials’ children). A short while later, he enrolled in the Military Rusdiye in 1893. He studied at the Manastir Military Secondary School between 1896 and 1899 and then entered the Istanbul Military Academy. He took his rank as a lieutenant in 1902. He then went to the War Academy. He graduated from the Academy on 11 January 1905 and took his rank as a captain. He worked in the 5th Army in Damascus between the years 1905-1907. He was raised to the rank of a Senior Lieutenant in 1907. He was assigned to the 3rd Army in Manastir. He took part as the Chief of Staff in the Operations Army, which entered into Istanbul on 19 April 1909. He was sent to France in 1910. He took part in the Picardie Maneuvers. He started working in Istanbul under the command of the Headquarters of the General Staff in 1911. Mustafa Kemal took place in the war that began with the Italian Attack on Tripoli in Derne and Tobruk district with his friends. He won the Tobruk War fought against the Italian on 22 December 1911. He was promoted to Derne Commandership on 6 March 1912. He took part with his body of men in Gallipoli and Bolayir, when the Balkan Wars started in October 1912. He contributed greatly to the getting back of Edirne and Dimetoka. He was assigned to the position of a military attaché in Sofia. While he was serving under this title, he was raised to the rank of a lieutenant Colonel in 1914. His term of Office as a military attaché came to an end in January 1915. Meanwhile, the First World War had started and the Ottoman Empire had been forced into the war. Mustafa Kemal was assigned to Tekirdag to establish the 19th Division. Mustafa Kemal was in the Army that created a legend of heroism and showed the enemy forces that “Canakkale will not submit”. He showed great success in this war. The enemy forces, which were not able to occupy the Canakkale Straits from the sea and incurred great losses, decided to deploy military forces to Gallipoli. The enemy forces that landed on Ariburnu on 25 April 1915 were stopped by the 19th Division commanded by Mustafa Kemal in Conkbayiri. Upon this achievement of his, Mustafa Kemal was raised to the rank of a colonel. The English forces began to re-attack on 6-7 August in Conkbayiri. Mustafa Kemal, the commander of the Anafartalar Group, won the Anafartalar Glory on 9-10 August. It was followed by the Kirectepe Glory on 17 August and the 2nd Anafartalar Glory on 21 August. The Turkish side lost about 253,000 soldiers during these wars. With the same number of losses for the other side, the Canakkale Wars have taken the lives of more than half a million young people. In the end, the enemy forces had to withdraw without fulfilling their goals. After the Canakkale Wars, Mustafa Kemal worked in Edirne and Diyarbakir in 1916. He raised to the rank of a major general on 1 April 1916. He fought against the Russian forces and enabled the getting back of Mus and Bitlis. After his short terms of Office in Damascus and Aleppo, he returned to Istanbul in 1917. He went to Germany with Vahidettin Efendi, who was the heir to the throne, to make some investigations. After his visit to Germany, he became ill. He returned to Aleppo as the commander of the 7th Army on 18 August 1918. He fought successful defensive wars against the English forces in this front. A day after the conclusion of the Mondros Ceasefire, on 31 October 1918, he was promoted the Commander of the Yildirim Armies Group. Upon the abolishment of this group, he came to Istanbul and started working in the Ministry of the Mİlitary. Upon the occupation of the Ottoman land by the Entente States after the Mondros Ceasefire, Mustafa Kemal set out for Samsun as the Supervisor of the 9th Army on 19 May 1919. Announcing, in his circular published in Amasya on 22 June 1919, that “It is again the tenacity and determination of the nation that will save its future”, he draw the way to be followed during the journey to the freedom of our homeland by summoning the Erzurum and Sivas Conventions between 23 July- 7 August 1919 and 4-11 September 1919, respectively. On 27 December 1919, he was welcomed with joy to Ankara. With the summoning of the Turkish Grand National Assembly in Ankara on 23 April 1920, a significant step toward the establishment of the Republic of Turkey was taken. 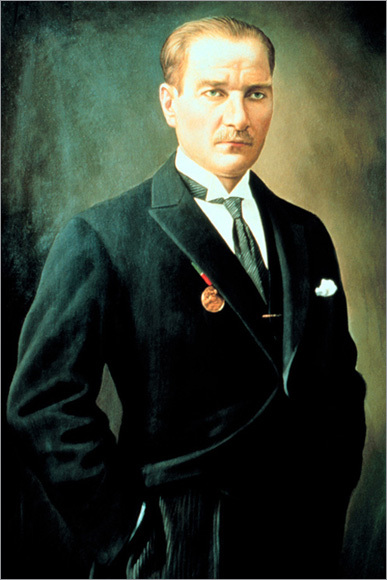 Mustafa Kemal was elected the Chief of the Assembly and the Government. The Turkish Grand National Assembly adopted and started implementing the laws necessary for the successful completion of the Turkish War of Independence. The Turkish War of Independence officiall started when Mustafa Kemal sett out for Samsun to organise the war of independence upon the occupation of Izmir by the Greek Forces on 15 May 1919. We fought against the triumphant states of the First World War, who shared the Ottoman Empire with the Sevr Agreement signed on 10 August 1920, first with the militia forces called Kuva-yi Milliye. Later, the Turkish Grand National Assembly founded a standing army. The integration of the Kuva-yi Milliye and the standing army insured the completion of the war with glory. A piece of the good news of the establishment of the Republic of Turkey was told with the opening of the Turkish Grand National Assembly on 23 April 1920 in Ankara. The successful management of the War of Independence on the part of the Assembly accelerated the establishment of the new Turkish State. The caliphate and the sovereignty were separated from one another on 1 November 1922 and the sovereignty was abolished. Thus, all the bonds between the new state and the Ottoman Empire were released. The republican government was adopted on 29 October 1923. Ataturk was unanimously elected the President. And the first Government of the Republic was founded under the presidency of Ismet Inonu on 30 October 1923. The Republic of Turkey started rising on the principles of “The Sovereignty belongs to the nation” and “Peace at home, peace in the world”. Ataturk introduced a series of reforms to “take the Turkey above the level of modern civilisations”. 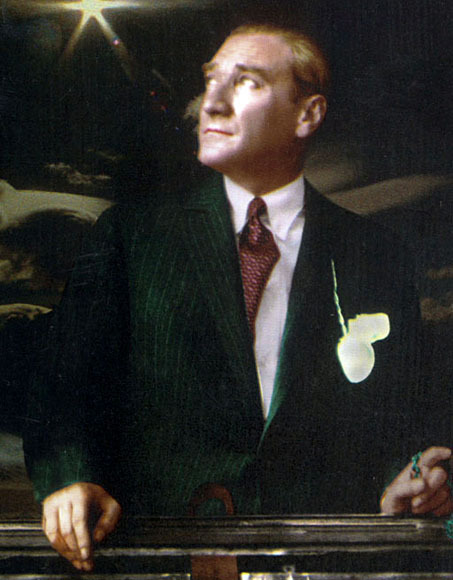 The surname “Ataturk” was given to Mustafa Kemal on 24 November 1934, in line with the Surname Law. 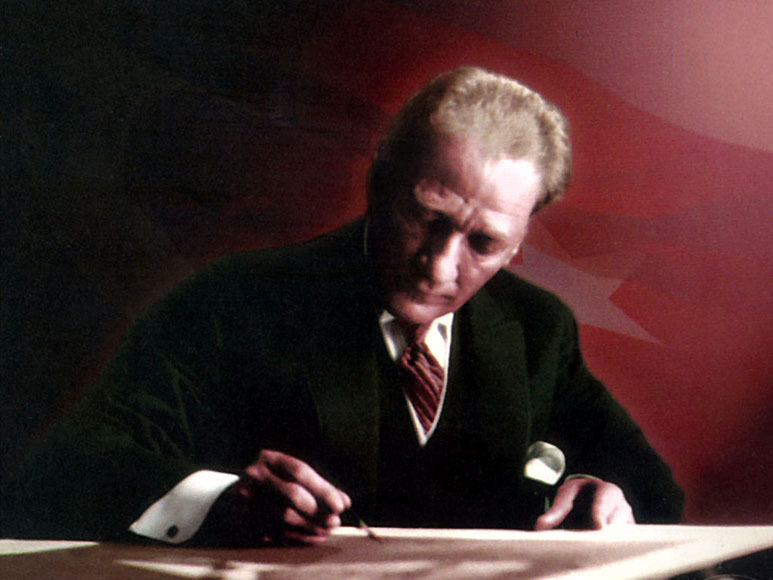 Ataturk was elected the Head of the TGNA (Turkish Great National Assembly) on 24 April 1920 and 13 August 1923. This presidency position was equal to the Presidency of State-Government. 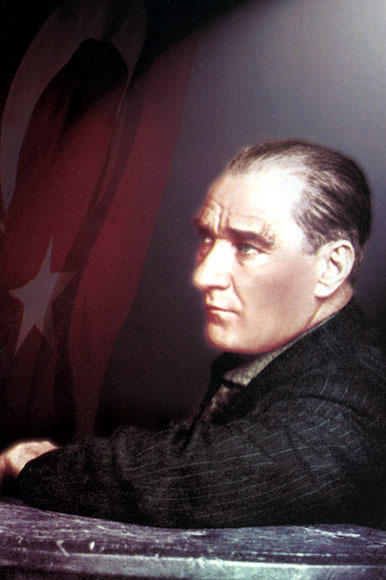 The Republic was proclaimed on 29 October 1923 and Ataturk was elected the first president. As required by the constitution, the presidency elections restored every four years. 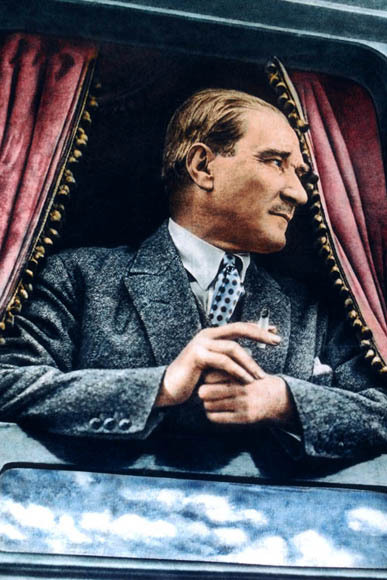 The TGNA re- elected Ataturk as the president in 1927, 1931 and 1935. Ataturk often travelled round the country to make an on-the-spot check of the works done. He read his ample speech, talking about the War of Independence and the establishment of the Republic on 15-20 October 1927 and his Speech for the 10th Anniversary of the Republic on 29 October 1933. Ataturk led a very plain private life. He married Latife Hanim on 29 January 1923. They travelled round the country many times together. This marriage lasted till 5 August 1925. Ataturk, who loved children very much, adopted the girls called Afet (Inan), Sabiha (Gokcen), Fikriye, Ulku, Nebile, Rukiye, Zehra and a little shepherd called Mustafa. He took the children called Abdurrahim and Ihsan under his protection. He loved reading, listening to music, dancing, horse riding and swimming. He was keenly interested in Zeybek dances, wrestling and Rumelian folksongs. He took great pleasure in playing backgammon and billards. He attached great value to his horse called Sakarya and to this dog called Fox. He would invite stateman and scientists and artists for diner, and discuss the problems the country faced. He paid great attention to dress in a clean and tidy way. He loved the nature very much. He would go to the Ataturk Orman Çiftliği very often, and would personally take part in the works. He could speak French and German. He was not able to recover from the cirrhosis he contracted and died in Dolmabahce Palace in Istanbul on 10 November 1938 at 9.05 a.m. His funeral was buried in his temporary resting place, the Ethnography Museum in Ankara, with a ceremony on 21 November 1938. His corpse was buried into his eternal resting place with a glamorous ceremony on 10 November 1953, after Anitkabir (the Tomb of Ataturk in Ankara) was built. Providing women with a legal status equal to that of men (1926-1934), hat and clothing reform (25 November 1925), the banning of dervish lodges of big and small sizes and the mausoleums (30 November 1925), surname law (21 June 1934), the banning of some agnomens and titles (26 November 1934), the adoption of the international units of time, calendar and measurement (1925-1931). The abolishment of the civil code devised in the nineteenth century (1924-1937), the issue of Turkish Civil Code and the other ordinances thus traversing to the legal order (1924-1937). The unification of Instruction (3 March 1924), the adoption of the New Turkish Alphabet (1 November 1928), the establishment of the Association for the Turkish History and Language (1931-1932), the formulation of the University Instruction (31 May 1933), innovations in the fine arts. The banning of the tithe, incentives to the Farmers, the establishment of Sample farms, the issue of the Law on Encouraging Industrial Activities and the establishment of industrial institutions, implementation of the 1st and the 2nd Development Plans (1933-1937), equipping the country with new roads.